Proposals. Showers. Weddings. The season is upon us! And, I have to say that it brings back so many amazing memories for me. I’ve been married nearly 18 years, so now it’s my friends’ children who are beginning to get married. As with so many things, times have changed. Weddings are so much more involved. Weddings are more likely to have an out-of-town destination, with numerous parties over a weekend. I’ve heard that if you don’t wear the colors that the bride and groom deem “appropriate” you may not end up in the wedding photos or on one of the cool websites that highlight real life weddings. 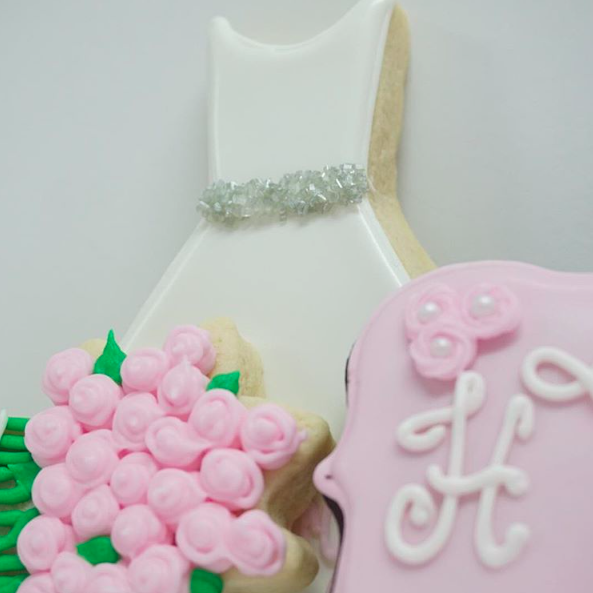 But, one thing that is new that I just adore are the cookies by the Whimsy Cookie Company in Memphis, TN. 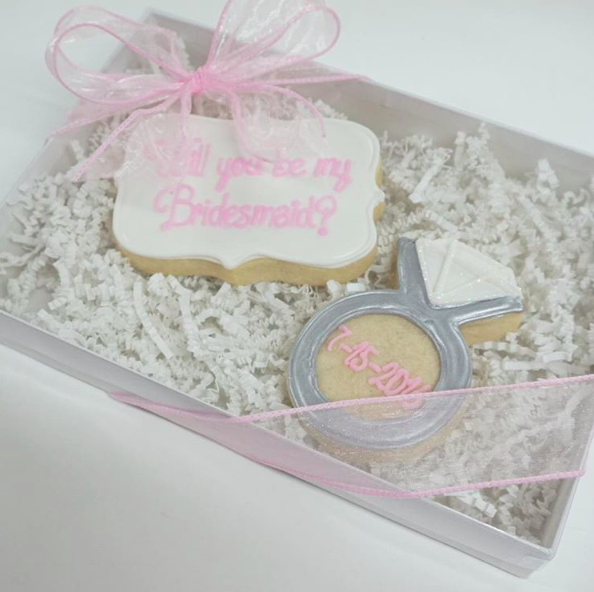 Whether it’s a celebration of a recent engagement or a way to ask someone to be your bridesmaid…these cookies are made for moments like these. 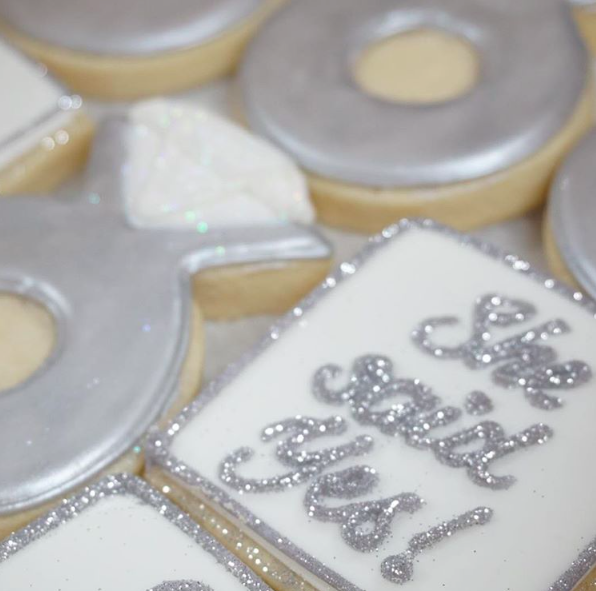 What a delicious and creative way to celebrate the upcoming nuptials of someone you know. 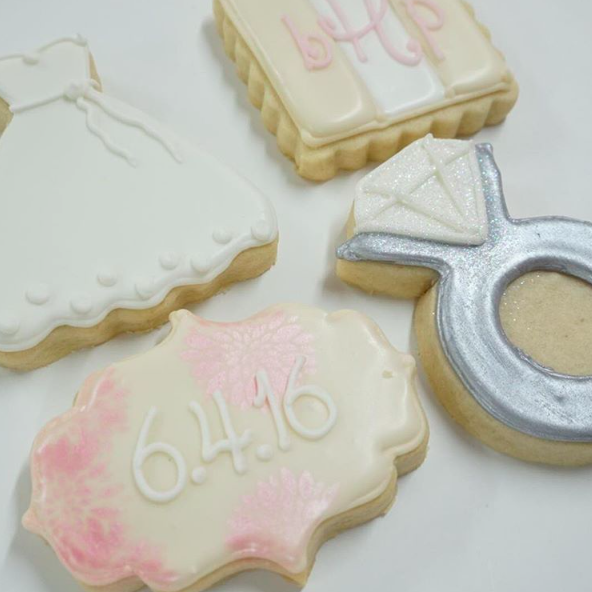 I say “I Do” to these cookies! Though, they can customize for any type of celebration you can think of! Those are ADORABLE!! I have an obsession with beautiful cookies:) Enjoy this gorgeous day…about to step out and enjoy it myself!